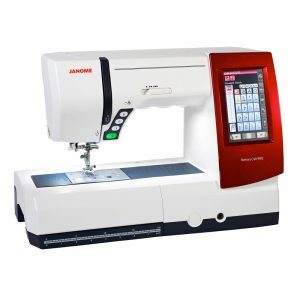 The Horizon Memory Craft 9450QCP is our top of the line Quilting model, it offers all the features you require to simply sit, relax and sew. 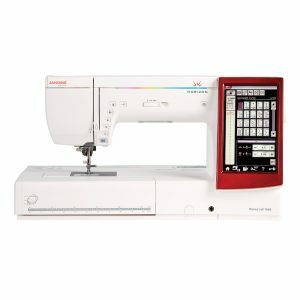 The large LCD colour touch screen makes it so easy to navigate through the 350 built-in stitches, including 11 one-step buttonholes and 9 alpha numeric fonts including 9mm lettering and numbers. You can customise each stitch including buttonholes plus save as a favourite stitch. Sewing Applications gives you a variety of pre-set stitch functions for seaming, zipper sewing, blind hem, button sewing, quilting, ruler work, patchwork, applique and lots more. 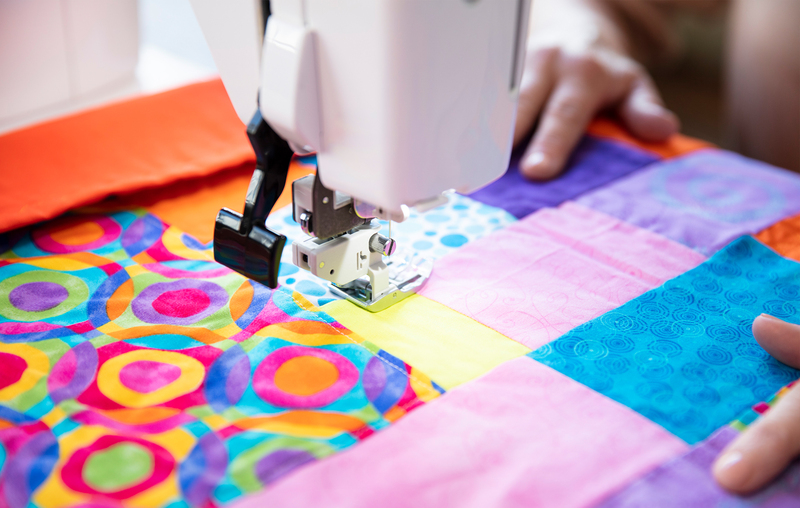 Quilters and designers will appreciate the AcuFeed™ Flex Layered Fabric Feeding System, the Automatic Presser Foot Lift plus the Electronic Automatic Tension Control. The MC9450QCP offers you extensive lighting with 9 white LED lights including a highlight which extends out and illuminates the needle area. To personalise your sewing you can create your own stitches using the Stitch Composer Software supplied with the machine. Save up to 40 created stitches directly in the machine memory. A new safety feature, the machine will automatically power off after a pre-set time, if idle. Yes, when startover selected, stitch will reset to the beginning. 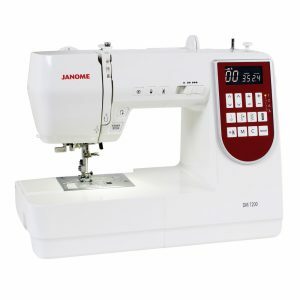 has patented needle plate markings for precision sewing with needle drop position, angle marks and sewing guides in front of the sewing foot. This model has 3 different needle plates – Standard, Straight Stitch and Professional Grade. automatic programmable thread cutter; cuts top & bobbin thread at the same time, pulling top thread to underside, consistant cut thread tail of 1cm. Also, standard with this model is the remote thread cutter switch activated by your foot. Remote thread cutter attaches to a base plate with the foot control. can sew without foot control. Hold in button when starting to sew & machine sews slow, same at end of sewing press & hold button, machine will sew slow. Sewing speed is controlled by speed slide on the front of the machine. you can memorise this function, needle can remain in down position in fabric when stop sewing (default setting) or be programmed to stop in the up position. Has a manual cloth guide, best used when the extra wide table is attached to the machine as cloth guide held in position with the extra wide table. raises/lowers the sewing foot, allowing the sewist to have both hands available to adjust or move fabric as required. free motion stitching using zig zag stitch, stitch width is controlled by the knee lift. Great for thread art.